FRANKFURT -- German passenger-car registrations rose 5 percent to 274,804 in May after a 4 percent dip in April in a sign that demand is still recovering in Europe's biggest auto market. Germany joined France and Spain in posting higher year-on-year car sales last month. April's 4 percent slide was the first drop in the German market for five months. Through May, registrations are up 3 percent to 1.26 million. Gains at domestic brands including Porsche and Opel, which rose 11 percent and 9 percent, respectively, boosted demand, the Federal Motor Transport Authority (KBA) said today. Premium brands Mercedes-Benz and BMW saw German registrations fall 0.5 percent and 5 percent, respectively, as both automakers review the cost structure of their German operations and stop short of heavy discounting. Sales of Volkswagen-brand cars rose 2 percent. Europe's car market has shown signs of recovery from a six-year slump, but excess production capacity and steep discounting continue to distort the true level of demand. 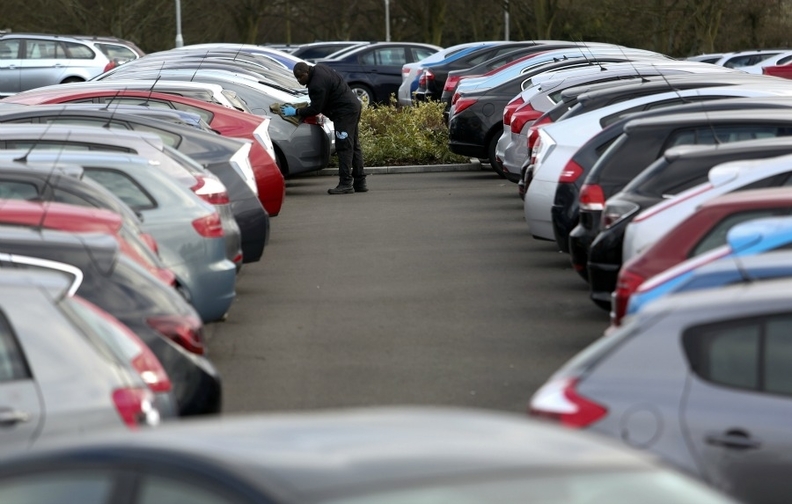 "We have seen incentives go up in Germany and the most generous incentives are being offered by Peugeot, Citroen and Opel," Mike Tyndall, an autos analyst at Barclays, said. Average incentives, or discounts, for Peugeot and Citroen were at 24 percent. For Opel they were 25 percent, Tyndall said, adding that German sales were further flattered by the fact that registrations in the year-earlier period were particularly weak. Download a PDF of German registrations for May and first five months. The German car sales recovery comes as the sales momentum continues elsewhere in Europe. In Spain, car sales rose 17 percent, while in France sales inched up 0.1 percent. France's CCFA industry association said it may raise its 1 percent growth forecast for the market for 2014 next month. Five-month sales in France are up 3 percent to 740,121. In Spain, registrations increased for the ninth straight month, helped by a government subsidy scheme that gives buyers of new vehicles a rebate for turning in old cars. Sales in the first five months were up 16 percent.